THE COOKIE & INSIDE CUT! The Cookie is a dummy where you fake to do the Inside Cut, but you actually use a change of pace and continue in the same direction. Dele Alli is the master! This will make you tough to defend against because it’s two skills in one! CREATE SPACE TO PLAY A KILLER BALL! 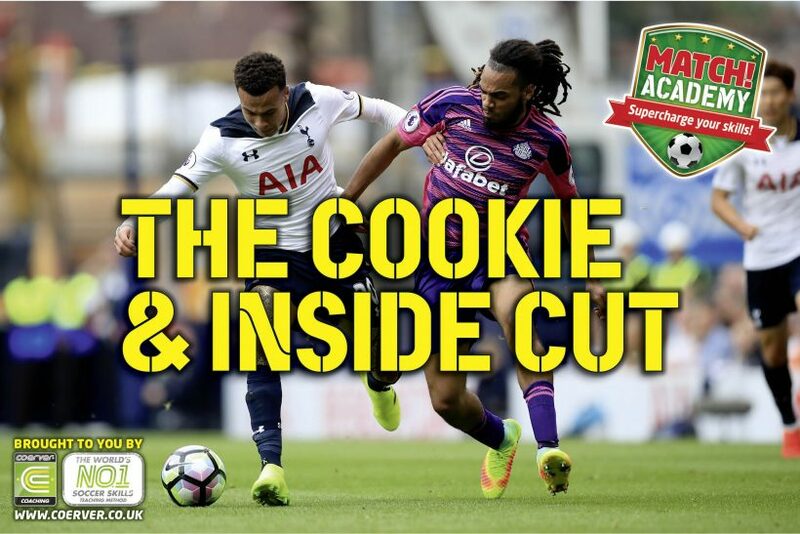 Tottenham ace Alli uses the Inside Cut to shield the ball and change direction from opponents to his side or in front, while he’ll do the Cookie when defenders are by his side. Both are great at creating that extra bit of space to run, pass or shoot! Practise it below! Tap the ball with the inside of your right foot to your left foot, and back again to your right. Next, slap the ball diagonally to your left by rolling the sole of your right foot over the ball. Now do the above actions but switch your feet, then repeat these actions alternating your foot each time. While running with the ball, push the ball forward so it rolls just ahead of you. Turn your hips, going sideways to the ball, and fake to cut the ball with your lead foot. Then, quickly switch feet and take the ball forward with the instep of your trailing foot and accelerate away! Then stretch, and with the inside of your lead foot, stop the ball by cutting it with your instep. As you do this, turn and go in the opposite direction by pushing the ball forward with your lead foot. Now burn away and leave your marker choking on dust! 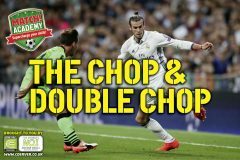 THE CHOP & DOUBLE CHOP! 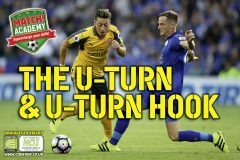 THE U-TURN & U-TURN HOOK!